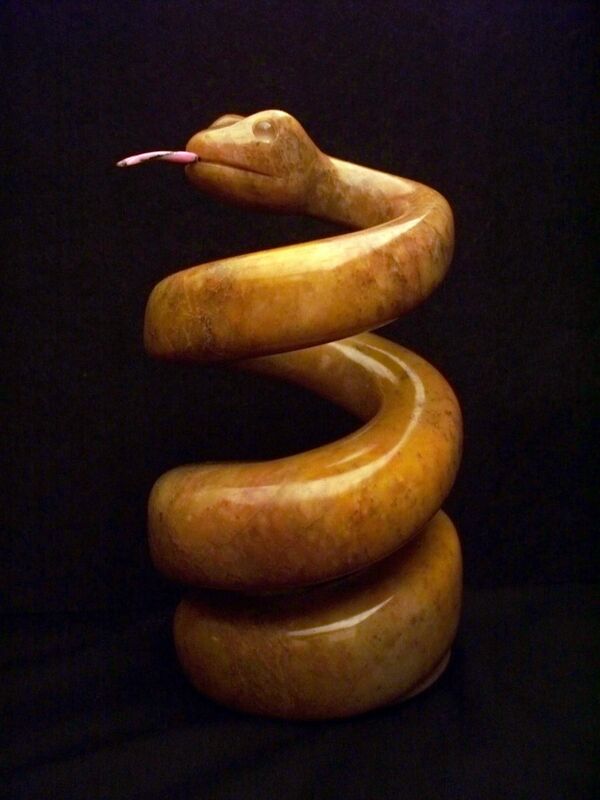 This snake was carved from Japanese Pyrophyllite, also known as Wonderstone. The tongue is Rhodonite and the eyes are Moonstone/Feldspar. Currently available.